A game mod or game modification changes or adds new capabilities to games at Voobly. Voobly's mod support makes it much easier to play mods on line. Game Play Changes - This type of mod changes around the game rules and because of this all users in the game room need to have these types of mods installed when it's played (or the game would go out of sync). This type of mod is also known as a data mod. New Visuals or Content - This type of mod changes around the graphics files or adds new maps and doesn't require everyone in the game room to have it installed. This type of mod is also known as a local mod. You can disable them with the "Game->Visual or Conent Mods" menu (uncheck them), or uninstall through the mod's webpage to permanently remove. Are you already a modder or ready to become one? On Voobly it's easy! We have also have some tools we've written and released to make your life even easier. The easiest way to start is to install some existing mods and look at how they work and start from here. Once you're done upload the mod to Voobly, for more information read the Step-by-step guide for uploading a mod. For mods to be detected by Voobly they should be placed in the proper game subdirectory. The subdirectory is Voobly Mods\Voobly-Game-ID-Here\Voobly-Mod-Type-here\Mod-Name-Here. For most mods you put the files you want to change at the same relative path in your mod directory as they are in the game directory. The easiest way to see how this works is to install an existing mod. 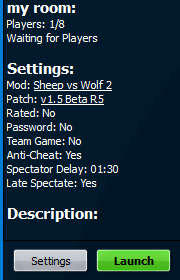 All mods must have version specified in the root mod directory. The server ensures that all users in a room have the same version of the mod before the game is launched. You are free to exchange files w/ zips or create your own installer. The users you are testing with should place the files in the same path as you. Once you're done send +[email protected] (or) +Blake (or) +[email protected] a message to get it added to the Voobly mod listing page as approved. 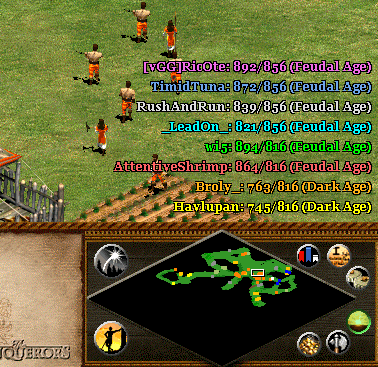 These sections describe AoE - AoC series games modding specifics. language.ini - text strings goes in base mod directory. drs\ directory, put .slp, .wav, and .bin files here. For everything else, use the same subdirectory as in the original game, e.g. : Scenario\ is used for maps and data\ for .dat and .drs files. You can put the edited DRS file in the data subdirectory of your mod. E.g. : aoc\localmods\MyGraphicsMod\gamedata_x1_p1.drs . This approach isn't recommended. The recommended approach is to extract only the SLP, WAV, and BIN resources that have changed and put it in the drs subdirectory, E.g. : aoc\localmods\MyFirstMod\drs\1250.slp and aoc\localmods\MyFirstMod\drs\50300.wav. Voobly supports multiple mods being loaded at the same time. E.g. : a mod could change trees while another mod adds a new units. If every mod changed the DRS files you could only have one mod loaded at any given time. The resulting mod is much smaller, a mod might end up less a few kb instead of > 50 megabytes. To help convert mods to this improved format we've created a drsdiff tool, you can download at here. This tool will compare a modified drs file against an original then output the changed SLPs. Usage: drsdiff.exe modified.drs original.drs . This will compare the two drs and any new or change SLP/wav/bin file will be created in put in a drsdiff-output\ subdirectory the tool will create. With .dll files you're replacing all or almost all the text strings, with Voobly we support multiple mods being loaded at the same time. E.g. : a mod that changes the default hotkeys, and another mod that adds new units. With the dll approach this couldn't be supported. The resulting mod is much smaller, a hotkey mod might end up less than a 1kb instead of > 400kb of language.dll mods. The file name is 'language.ini' located in base mod directory (e.g. : aoc\localmods\MyHotKeyMod\language.ini). Only one language .ini is supported per-mod (all the strings can live in a single ini file). Example below. First block shows the unmodified strings for the multiple game title and the I'm ready button. With two lines in a text file you can switch these strings. 9678=My Awesome Mod Is Loaded! 9663=Click Me! To help convert mods to this improved format we've created a conversion tool called langconv.exe, you can download here. There are two primary operations the tool supports: the first being to dump an existing language dll to an ini file, and the second to compare two ini files and produce a trimmed list of strings. The example below, shows how you would use langconv to dump all the strings from existing language dll files to language.ini. The tool will smartly merge new strings into language.ini after each run. If you did it correctly, mymod_min.ini will only have the strings that have changed between mymod_from_dll.ini and game_default_language.ini. You would rename mymod_min.ini as language.ini and put it in your mod directory. You can [You must login to view link] aok and aoc language .dll files from the [You must login to view link] website or the [You must login to view link] from aok.heaven. For aoeHD just follow the recommended installation guide. 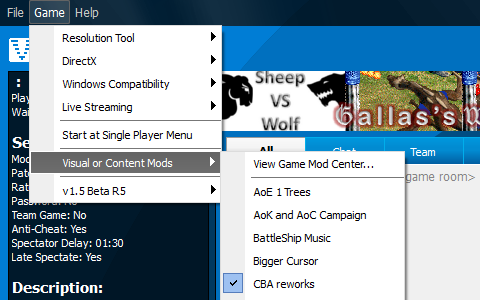 It is possible to create a game mod that enables UserPatch extensions such as the civ support. All you need to do is add a age2_x1.xml to your game mod directory. You would get 'age2_x1.xml' from C:\Program Files (x86)\Microsoft Games\Age of Empires II\Games\age2_x2.xml . Also copy files from C:\Program Files (x86)\Microsoft Games\Age of Empires II\Games\Forgotten Empires to your new mod directory. Custom Scenario authors may activate advanced statistics, revealing the local players kills and razing information in the F11 text overlay. This makes access to this information much easier than custom kill counters w/ triggers and they also allow custom scenarios to be created with less triggers increasing stability. Delete one of the P1 castles to activate advanced stats. Custom Scenario authors may disable the extended age information shown in the f4 score area. Note: this is only tested in multiplayer, it might not work in single player. To host a map using a collection the host must have all the maps. Therefore, it's recommended to package the maps in a game mod. Any number of map count is supported, that is 2 maps to over 100.